On the left map, we grouped Travel Trailers that are located close to each other into small circles. 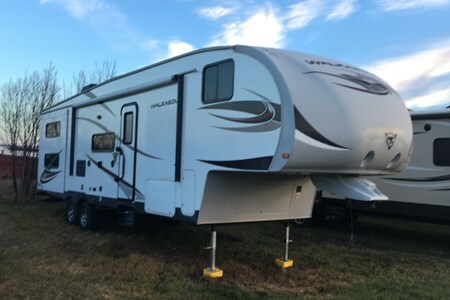 Now, you can locate all Travel Trailers on the map at the same time. You can also drag & zoom the map. 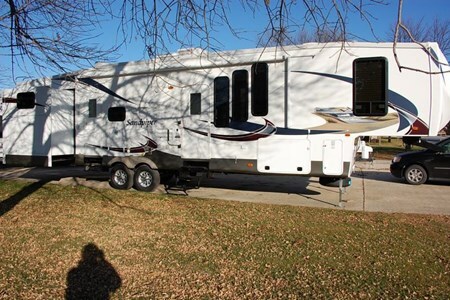 Circle numbers - Count of Travel Trailers that are located in and around that circle. 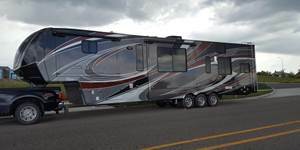 Colored circles - Travel Trailers that are displayed in the list below. 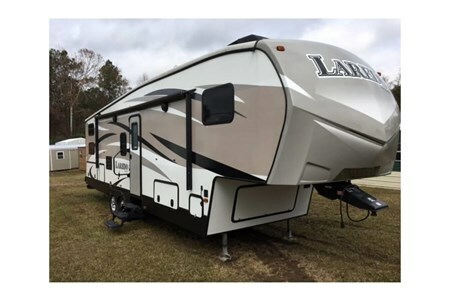 Grey circles - Travel Trailers that are displayed on next page(s). 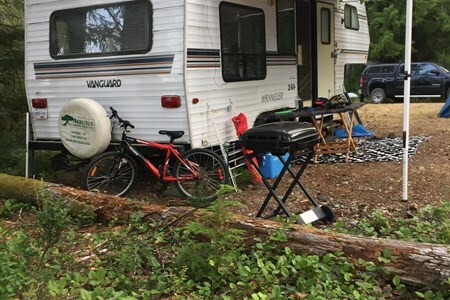 Half colored circles - Some Travel Trailers in that circle appear in the list below and some on next page(s). 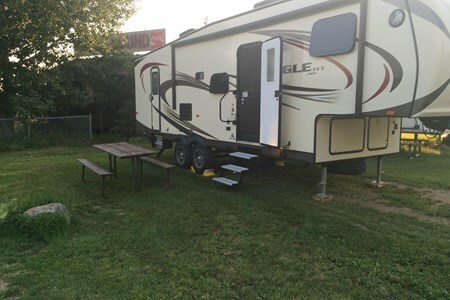 Click on circles to zoom in or highlight Travel Trailers . 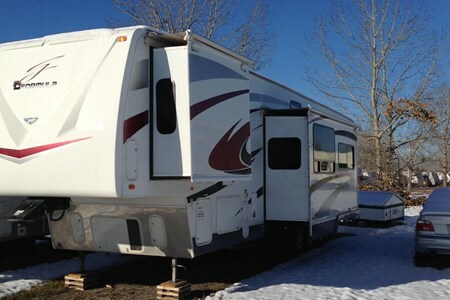 Keystone Hideout - A two bedroom, two bathroom suite on wheels!! 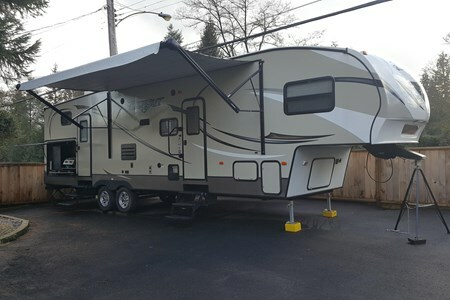 Tango 5th Wheel - have it delivered to your site! 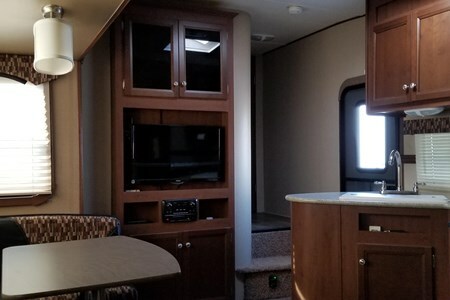 Great layout and tons of storage and light! 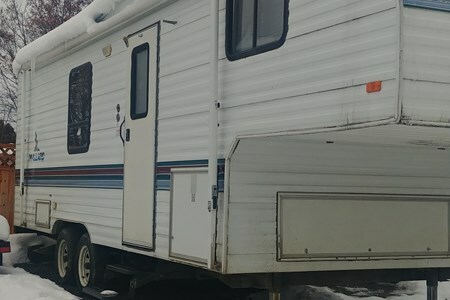 Roomy trailer for the whole family! 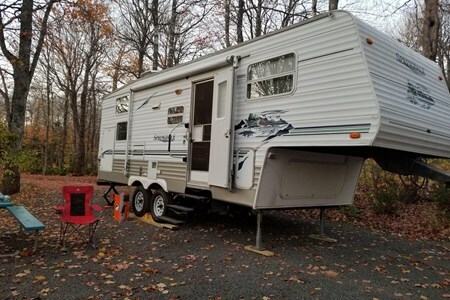 The Fifth-Wheel RV Travel Trailer usually has the same amenities as a Conventional RV Travel Trailer, but has a raised forward section that provides a spacious comfy bi-level layout. 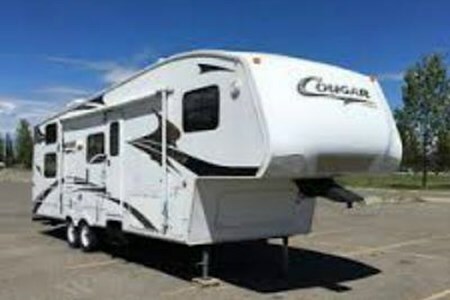 The 5th Wheel models are towed by a pickup truck equipped with a device known as a fifth-wheel hitch or a king-pin hitch. 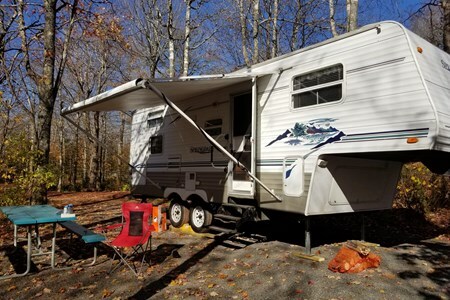 Equipped with all the conveniences of home, including sleeping, showering, dining, cooking, entertainment and storage, many 5th Wheel Trailers have luxury models that are very spacious and elegantly furnished. 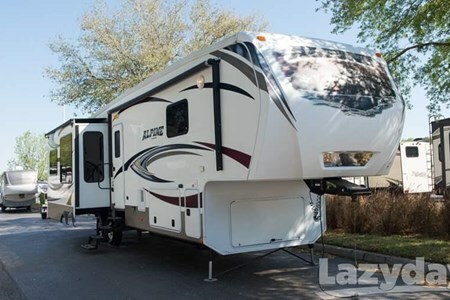 Some have as as many as four slideouts, which move the RV wall outward up to three feet at the touch of a button to create increase square footage, thus creating larger living areas. 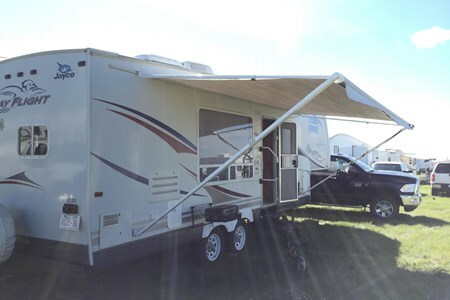 Many Fifth-wheels often have a large picture window at the rear for panoramic views. 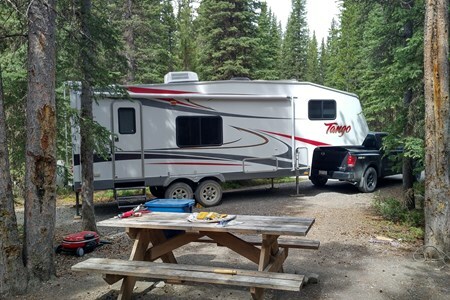 At the campground, you easily detach from the tow vehicle, freeing up your tow vehicle for errands and sightseeing. 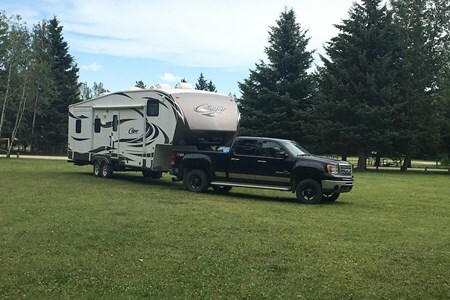 Lightweight models are available to allow the use of smaller trucks with less towing capacity. 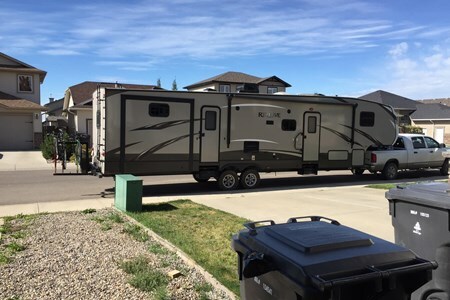 It is always important to match the loaded weight of the RV to the towing capacity of the tow vehicle. 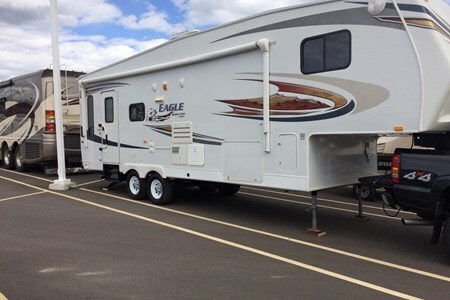 Consult your dealer or owner’s manual for details on towing capacity. 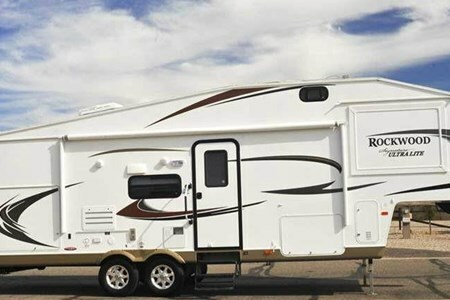 Why Rent a Fifth Wheel RV with Wheel Estate? 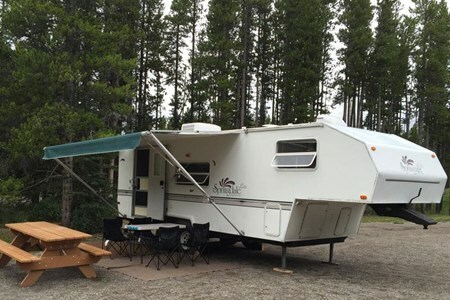 Search, discover and rent fifth-wheel RV trailers directly from local owners in Alberta.